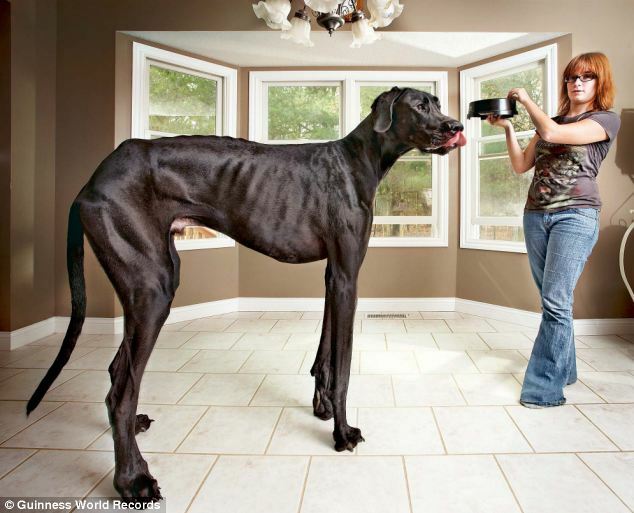 A 44in Great Dane has been named the world’s tallest dog by Guinness World Records. Aptly named Zeus weighs 155lbs and reaches an astonishing height of 7ft 4in standing on his hind legs. Owner Denise Doorlag from Michigan says the three-year-old is so big little children often thinks he is a horse.